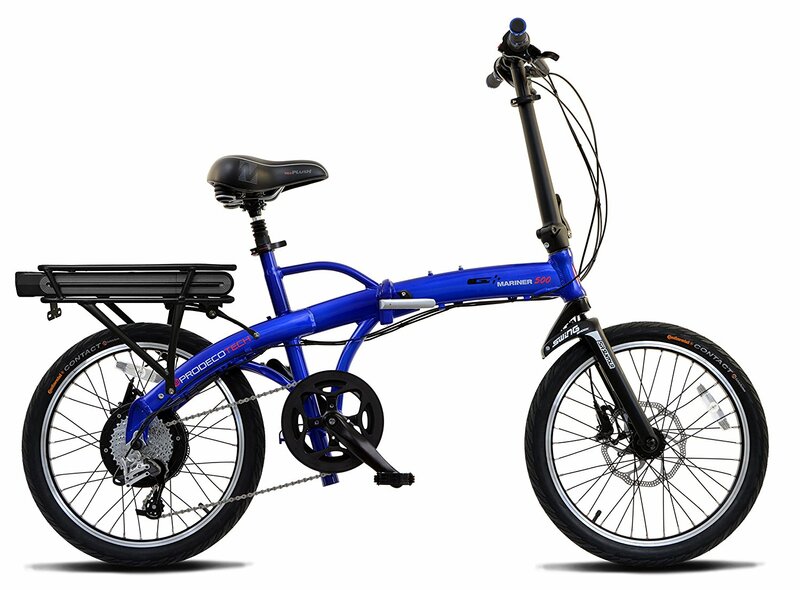 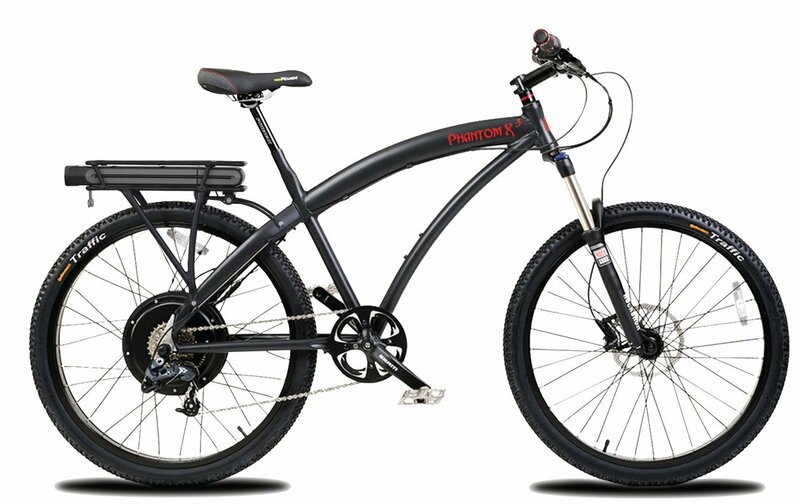 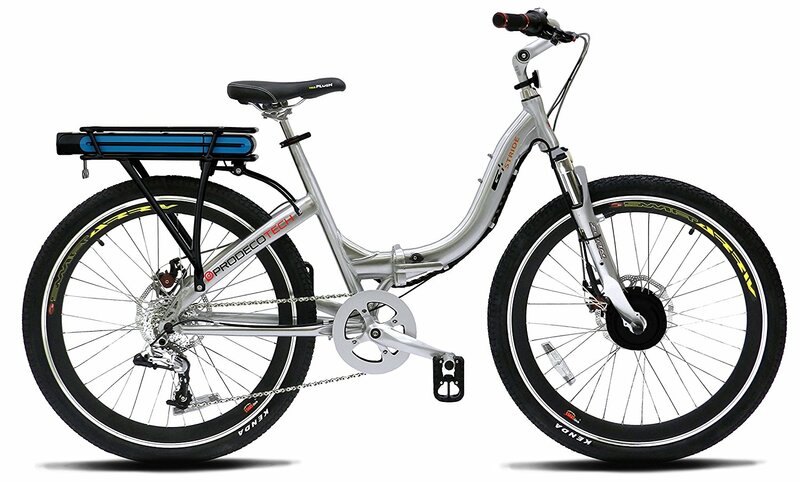 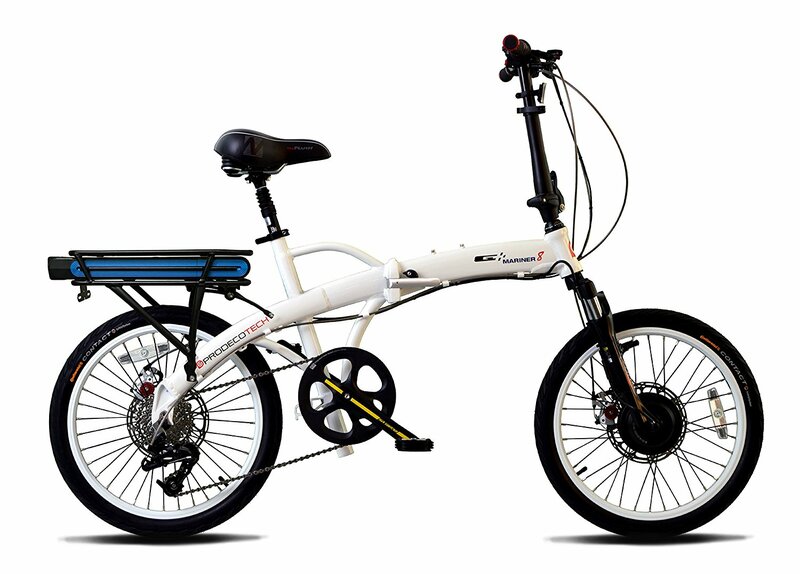 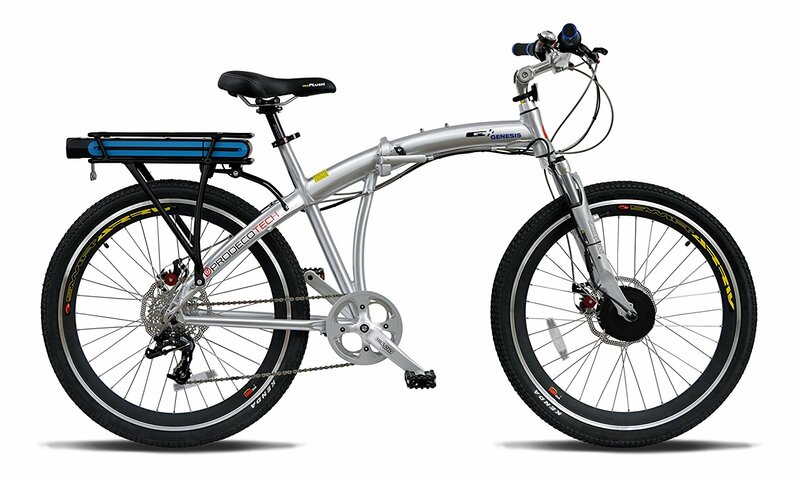 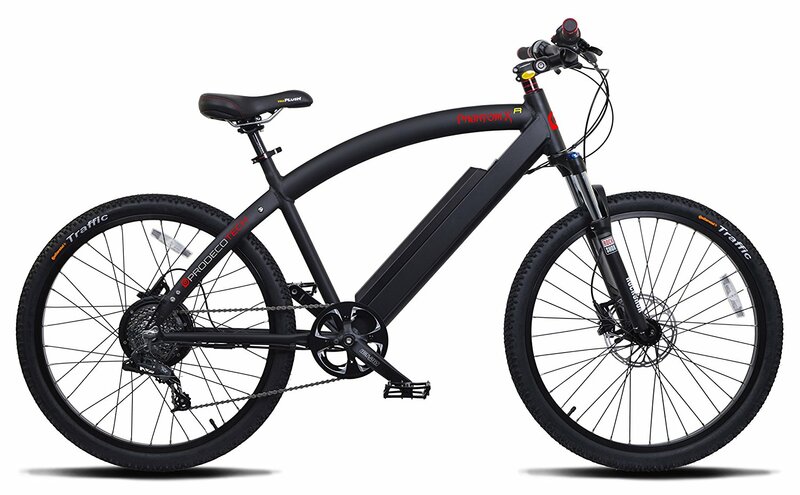 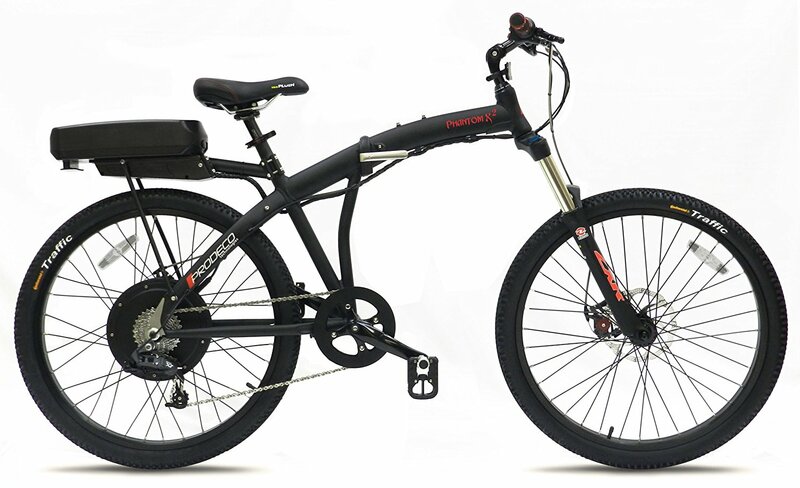 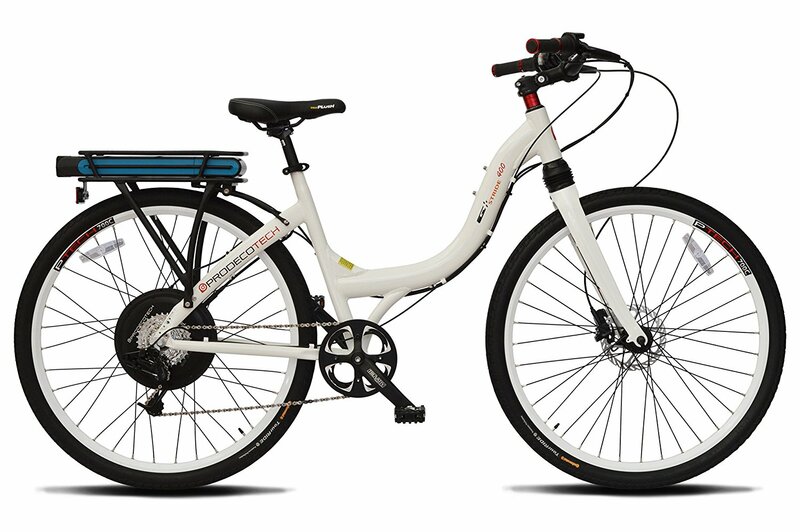 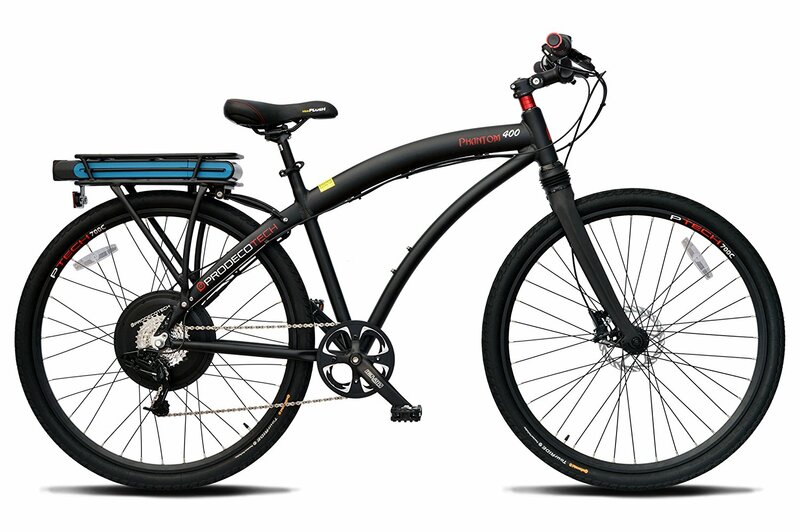 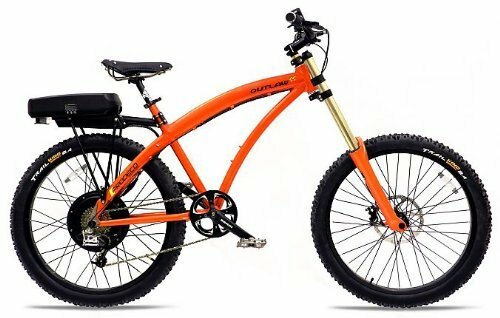 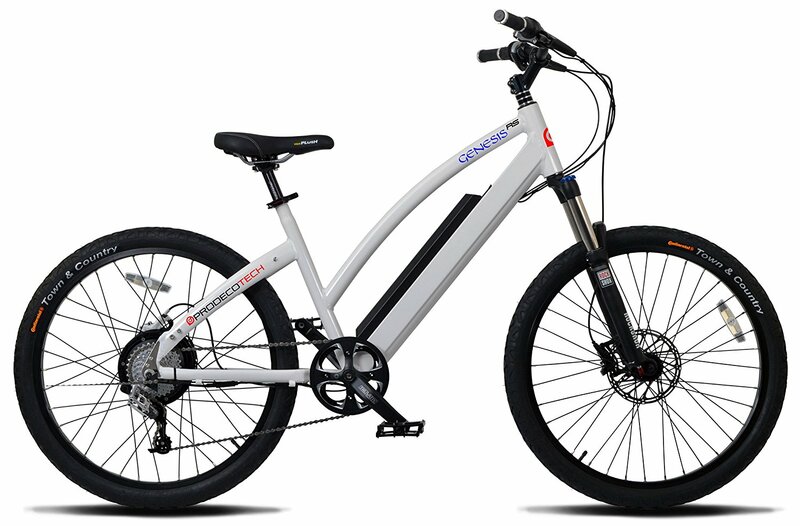 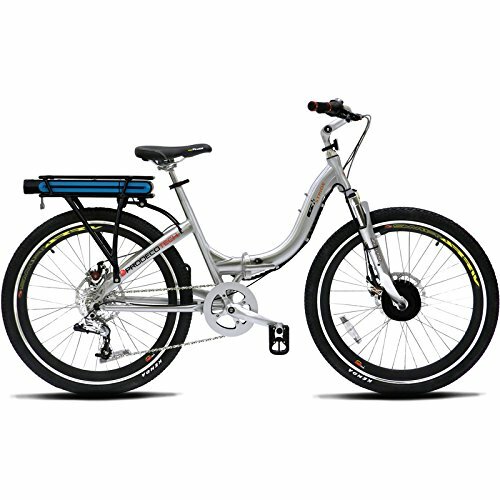 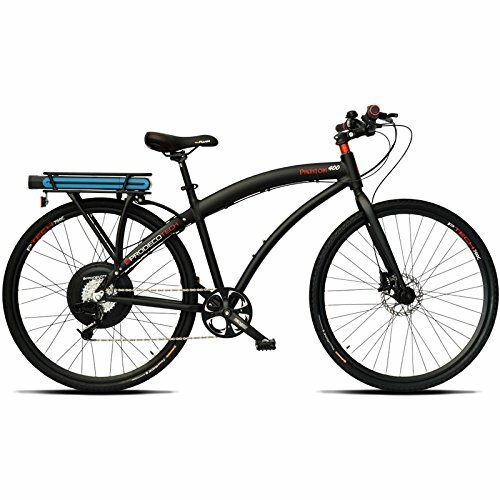 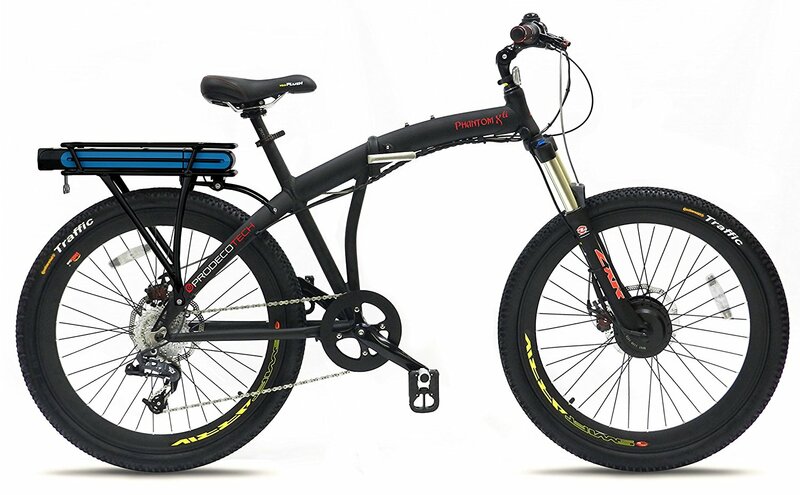 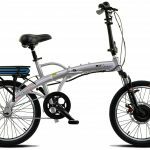 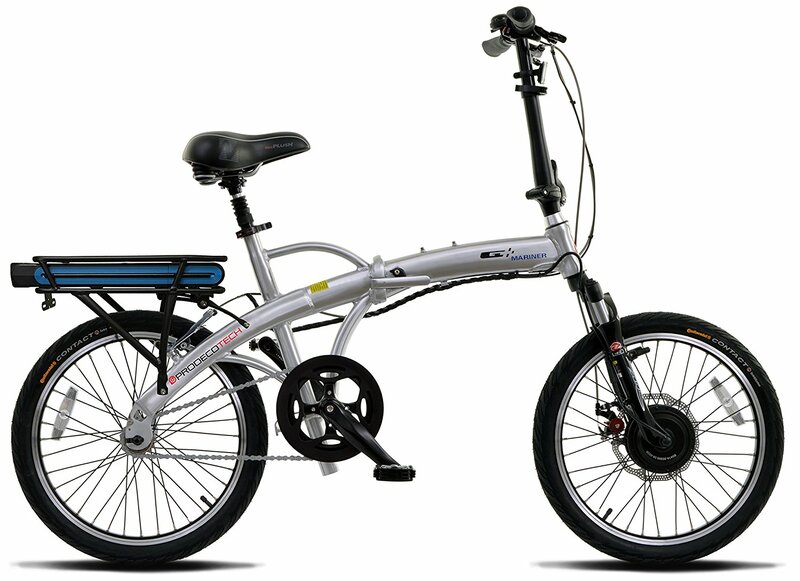 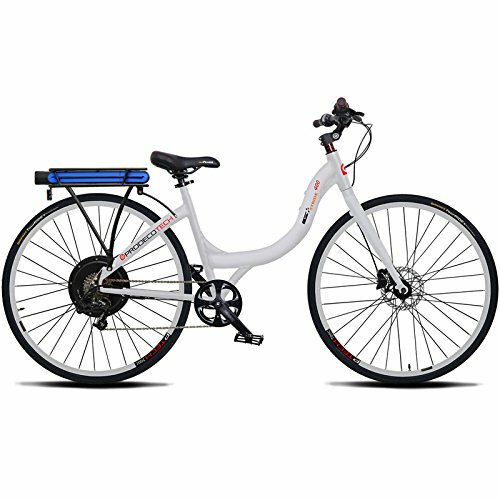 With its Brushed Aluminum, satin clear finish and 20-inch rim frames, the ProdecoTech Mariner is one of the cleanest looking and most compact e-bikes in its class. 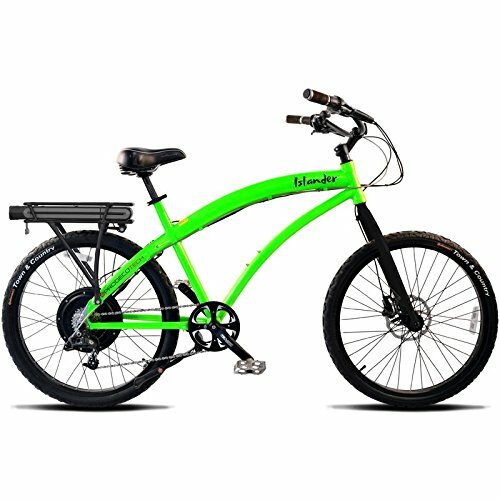 Weighing in at just 42 pounds, up to 25 percent lighter than its competitors, the Mariner is lightweight, portable, rust-resistant and easily stored, which is great for those on the go. 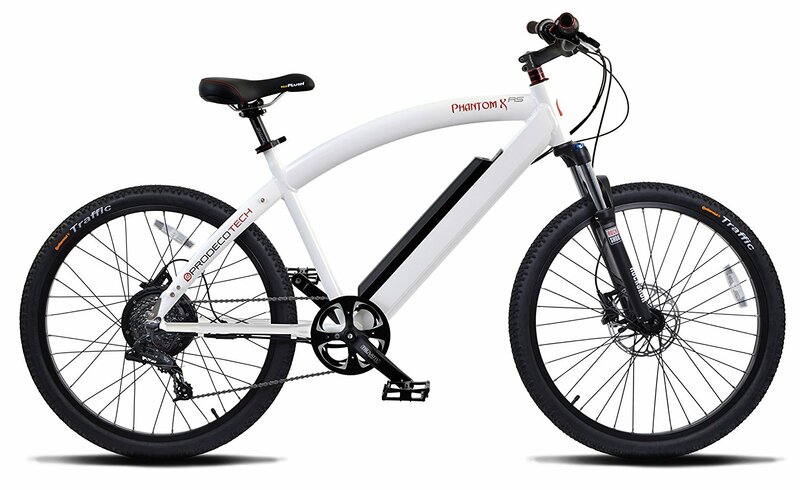 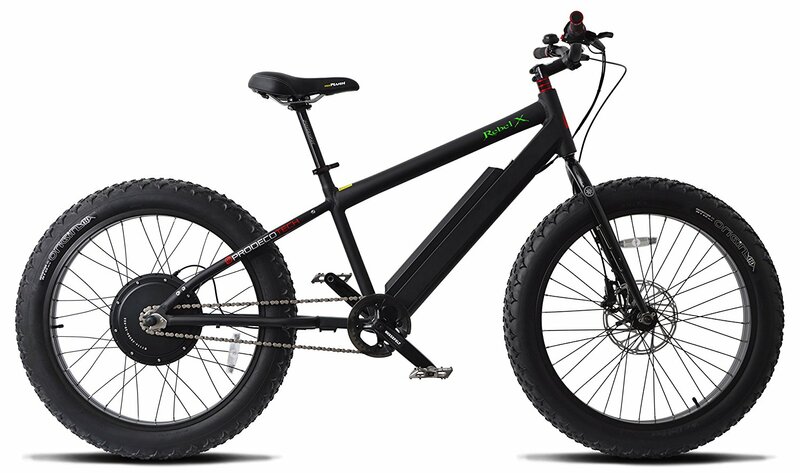 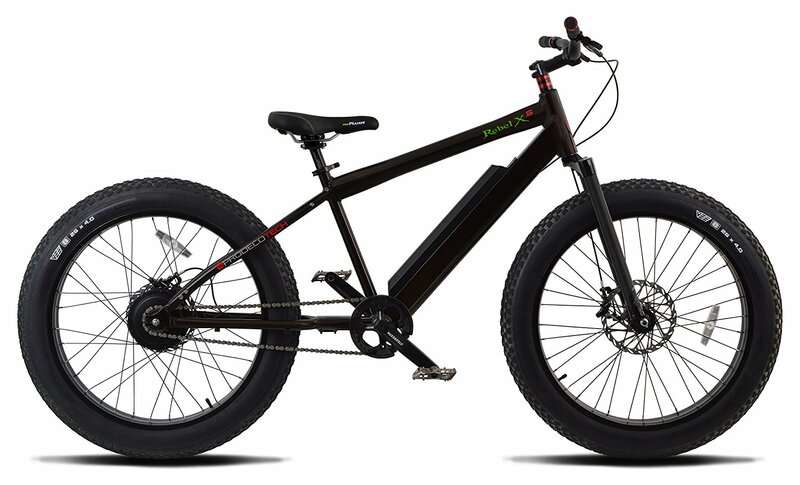 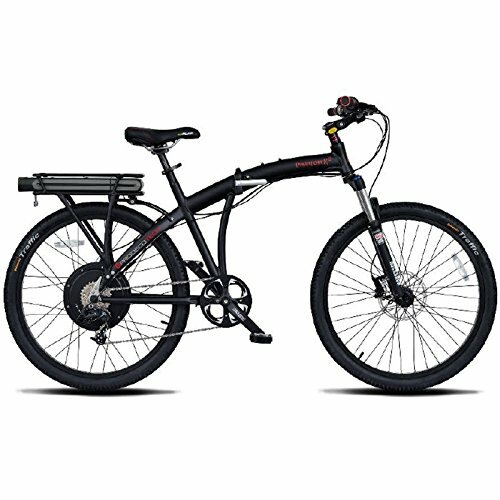 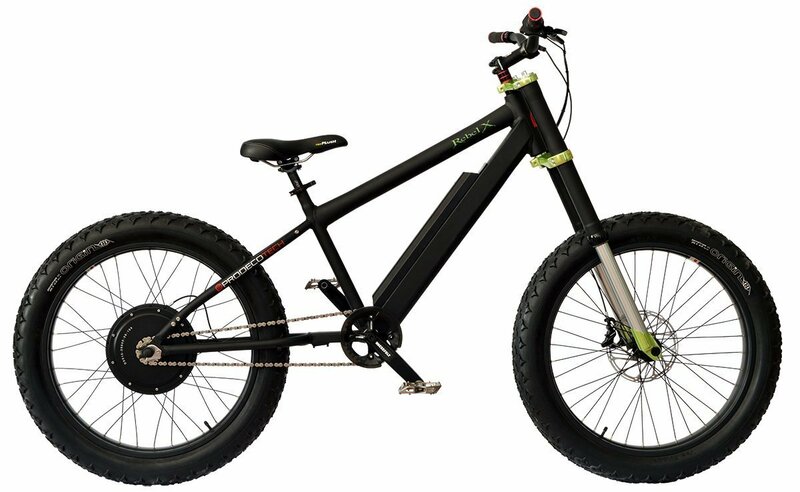 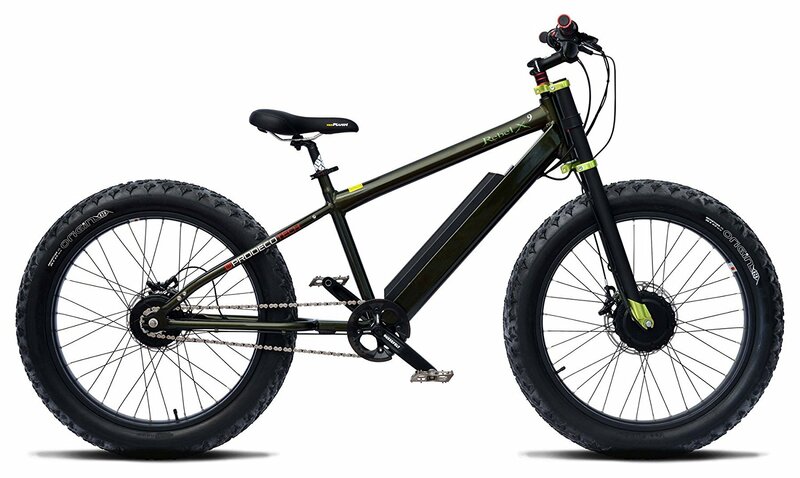 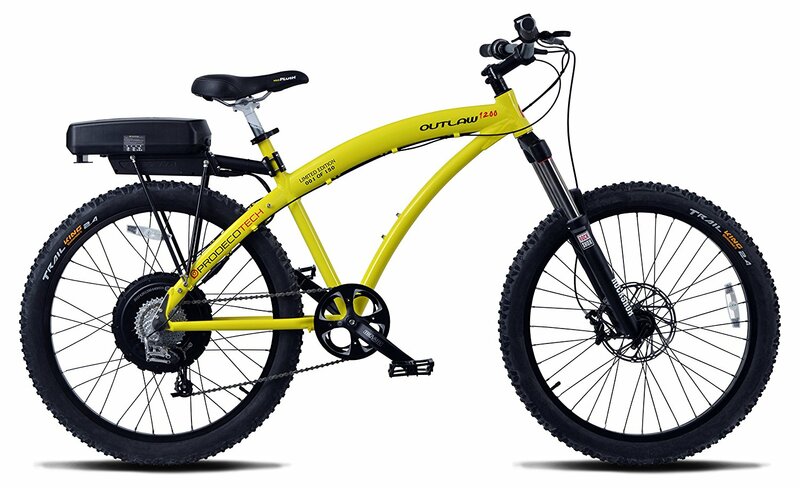 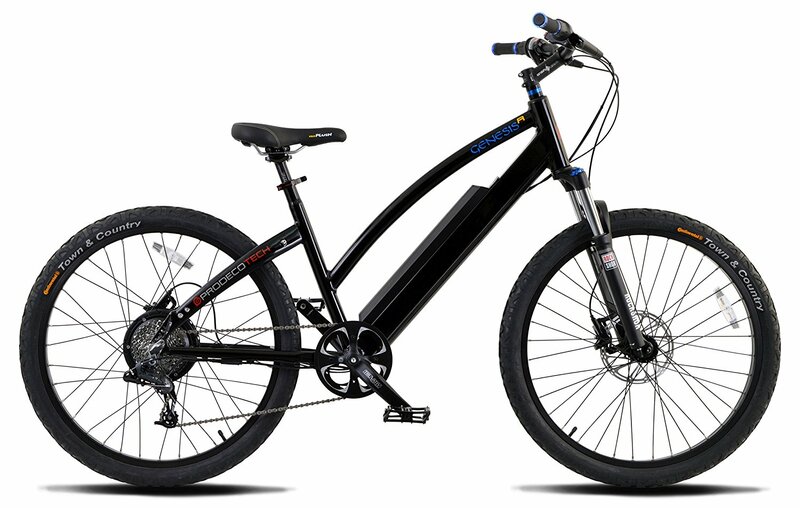 When activated, the “power-on-demand” propulsion system can reach speeds of up to 18 mph from its free-spinning, 300-watt motor mounted to the front wheel, which delivers 500 watts at Peak. Just give a half-twist to the throttle and away you go. 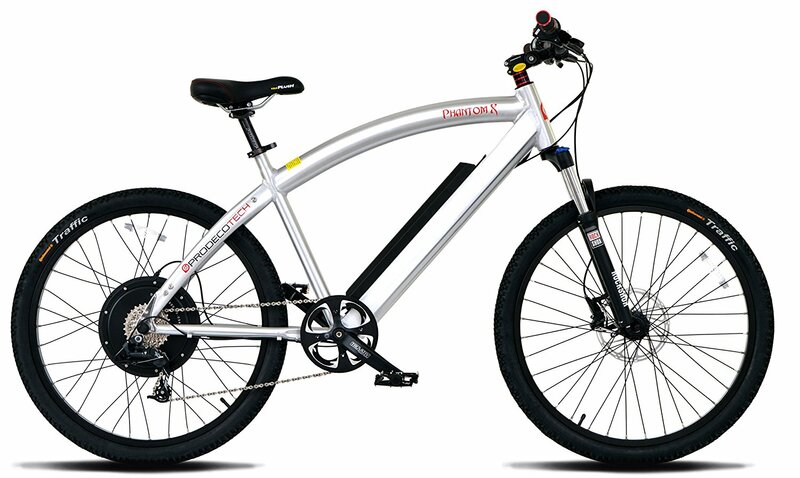 The Mariner has a maximum range of 35 miles per charge thanks to the 36-volt, 10.4-Amp hour Samsung cell battery). 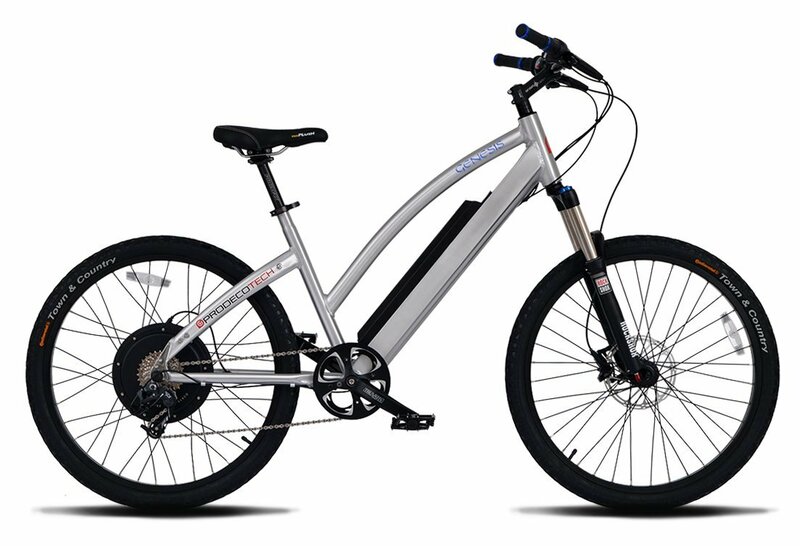 you will love the control and dependability of the 5 TX-120 front disc brake plus the efficient and reliable avid BB5 disc brakes in the rear. 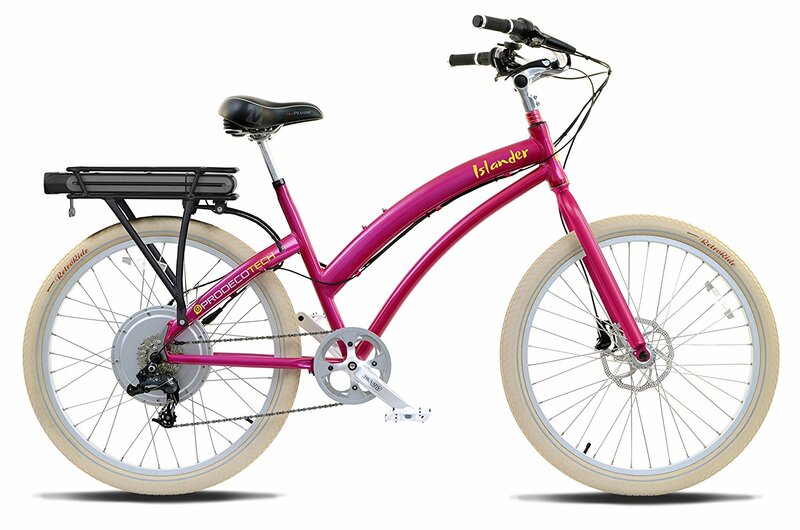 In addition to the high-end, salt-air friendly aluminum features, the Mariner is equipped with a durable KMC rust buster chain. 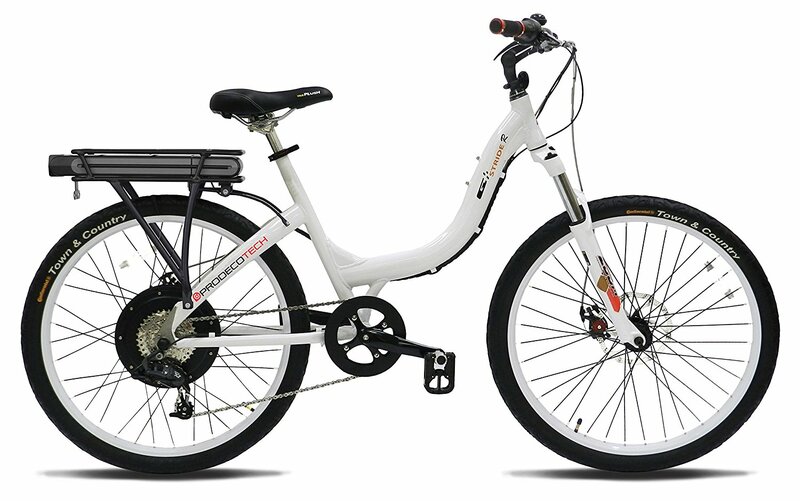 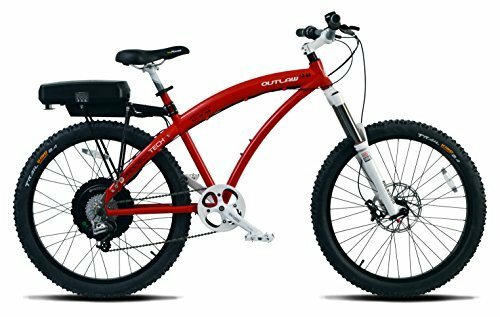 This outstanding package ensures an effortless ride around town or along the shore, even while offering the option of pedaling for exercise.